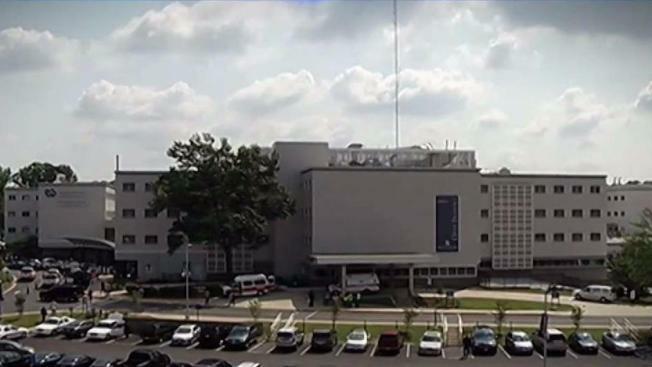 The Washington DC VA Medical Center is referred to as “high risk” and “low performing” in an internal agency memo and has been ordered to undergo monthly progress reports until improvements are made. A recent series of infections suffered by patients during IV treatments and long wait times for some mental health patients contributed to the new scrutiny for the giant medical center on Irving Street. Veterans Health Administration Executive-in-Charge Carolyn Clancy issued the memo to a regional agency director in January. Acting Medical Center Director Larry Connell said fixes are being made and new staffers are being added. Connell said the agency is adding new nurses and raising nurse salaries to help reduce wait times for mental health patients, but he said emergency care has remained available for patients with mental health crises. “We were short-staffed," he said. "But we won't be short-staffed by the end of February. We will have enough providers on staff to reduce those wait times." The Washington DC VA Medical Center suffered a scathing internal audit in April 2017. An inspection by the VA’s Office of Inspector General found shortages of supplies and unsanitary conditions in storage areas. The agency fired the medical center’s former longtime director in 2017. Recent News4 I-Team reports revealed a string of other problems and incidents, including the postponement of at least nine surgeries in November 2017 because of concerns about the safety of some surgical equipment. A report by the I-Team also revealed the agency hired a contractor to fix potentially unsafe floor cracks in the facility’s surgery department in March 2017. VA officials also ordered repairs of holes in the walls of the facility’s “center core areas.” The facility suffered a cockroach infestation and a lack of sanitary conditions in its food service areas in 2015, according to reporting by the I-Team in 2017. Maryland military veteran James Preston said he has undergone successful treatment for cancer at the medical center since 2002. Preston said the facility has needed improvements, but he is optimistic new leadership will help make changes. “There’s an expectation that anytime you come into a government facility, you’re going to get No. 1 treatment and No. 1 care,” Preston said. In a separate report obtained by the I-Team Friday, the medical center reported progress eliminating its backlog and wait times for patient prosthetics. More than 7,000 prosthetics requests had languished for longer than 30 days in February 2017. The new medical center report shows the backlog reached zero in mid-January.